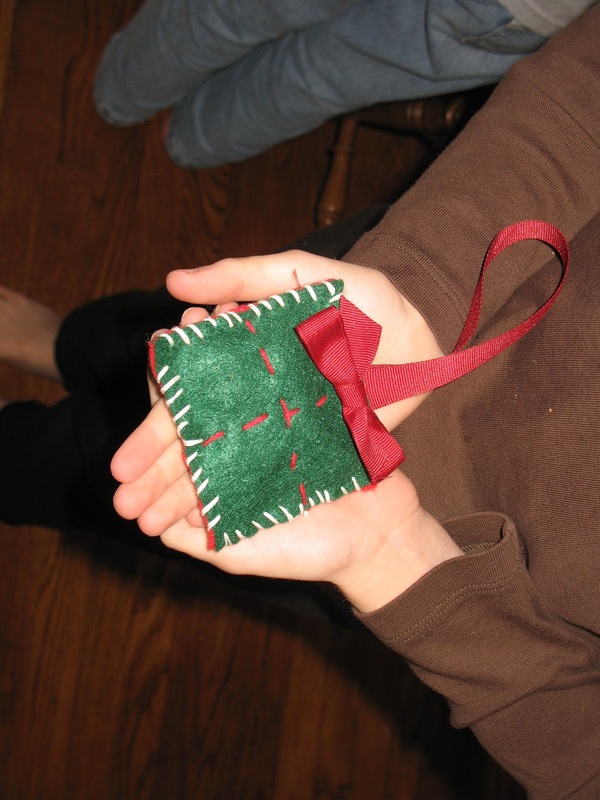 This is the first of (I hope) a few posts on children’s crafts for Christmas. I had been promising them this day all week but we just kept running out of time. 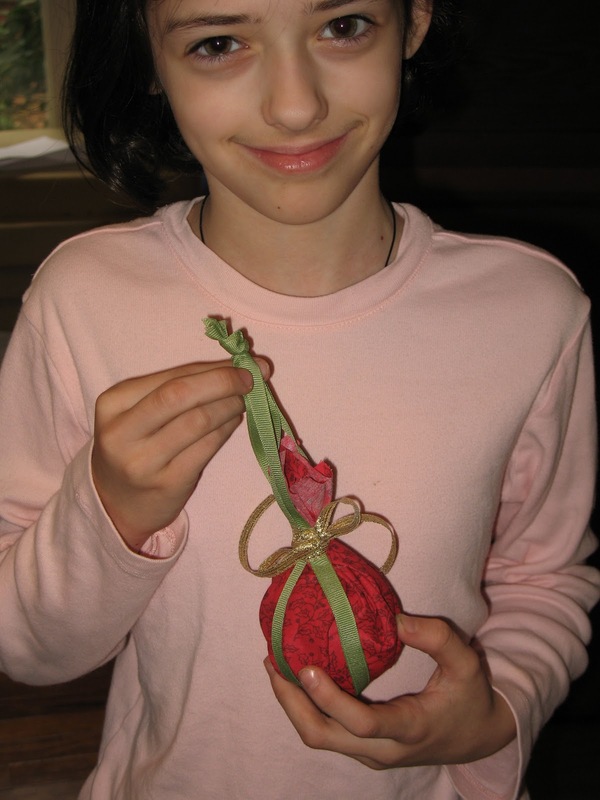 First, we made “kissing balls”, the design courtesy of Good Housekeeping. They were really simple. I don’t have too many “in progress” pictures because it was pretty hands on for my part. I got foam balls at the store (pack of 6) and each child selected a fabric scrap they wanted to use. We cut out a square and put the ball in the center. The edges were drawn tightly up over the ball and bound at the top with a rubber band. [Hint: don’t make it too tight at this point.] Then ribbon was selected and two lengths cut, enough to go down around the ornament and back up with some left over for hanging. The ribbon was tucked under the rubber band on each side (see why I told you not to make it too tight). Another length of ribbon was bound around the rubber band and a bow tied. This hides the rubber band. 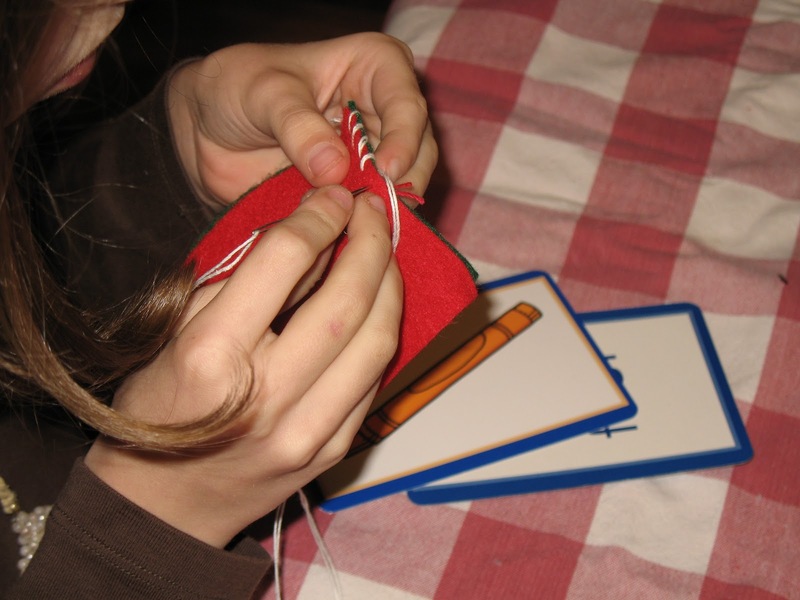 The four ends of ribbon are tied together on top to make a loop for hanging. 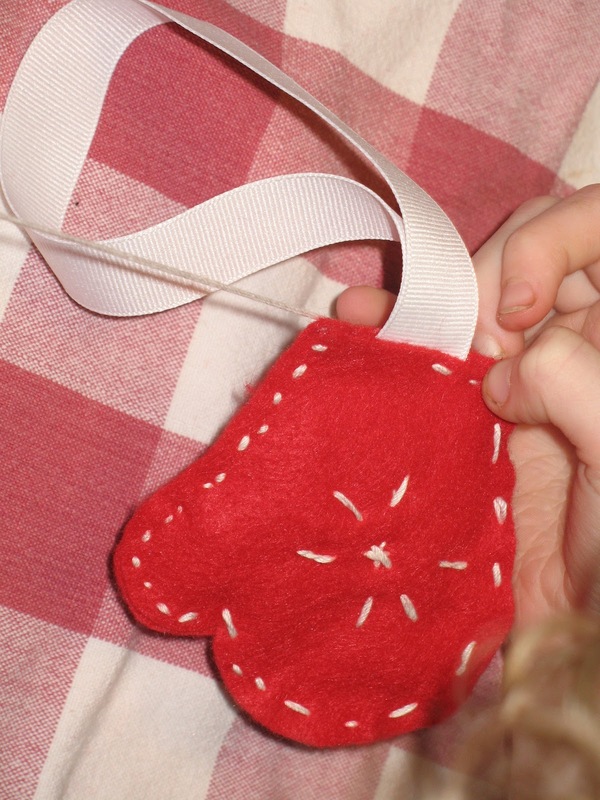 You can also tuck in a holly leaf or flower or something under the bow. Our children elected to go without. Second, we made clothespin angels. These were really easy. 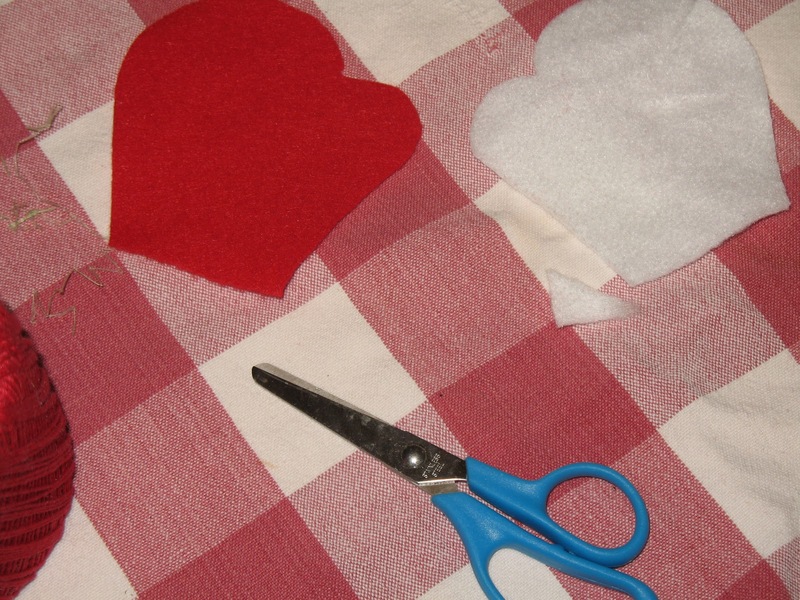 I saved time and cut out the angels’ dresses (white felt) myself, but you can have children cut out their own. 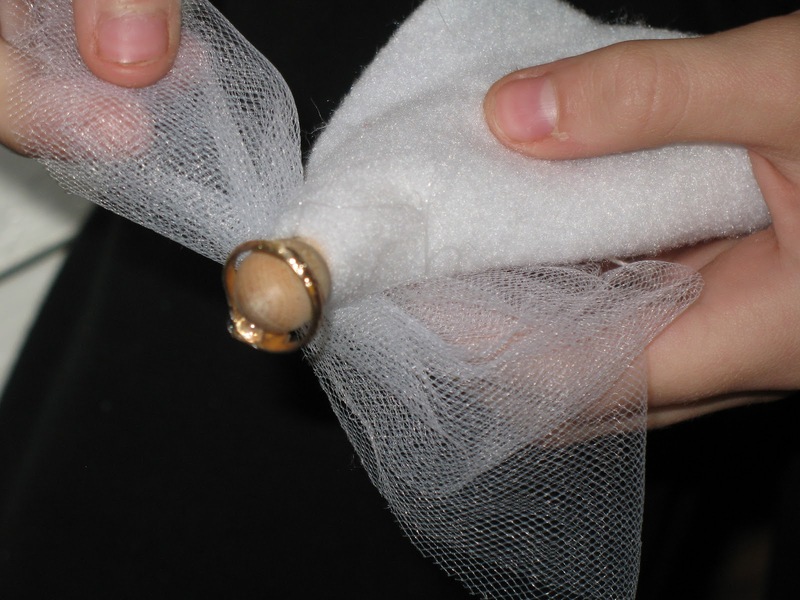 We used pre-cut netting circles (the ones you use to make wedding favors) for the wings and little gold rings for halos. The clothespins were the old-fashioned kind. I folded the netting circles into quarters and gathered them up and tied them in the middle for the wings. 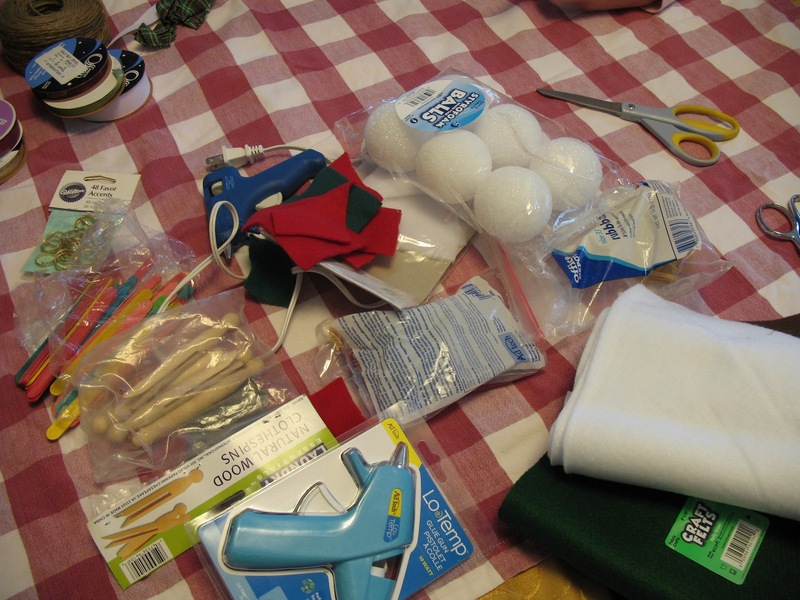 I used a “cool” glue gun because I wanted the children to be able to do as much as possible themselves. and push it down into the middle of the white felt dress. and fold one side of the gown over it and press down. You do the same for the other side. 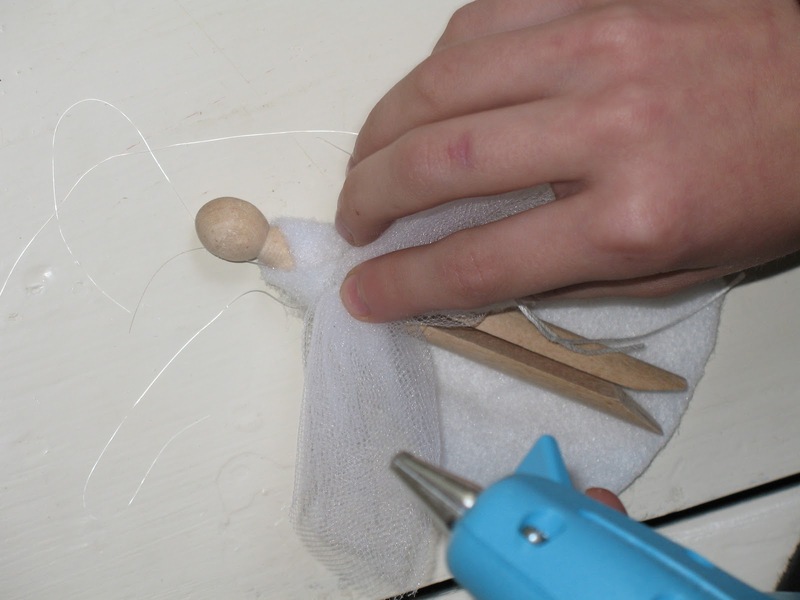 Then you put one more dab of glue over the same area and push the center of the wings down. A little dab of glue on the back of the head holds the halo. You can fluff the wings when you’re done to make them look more like wings. 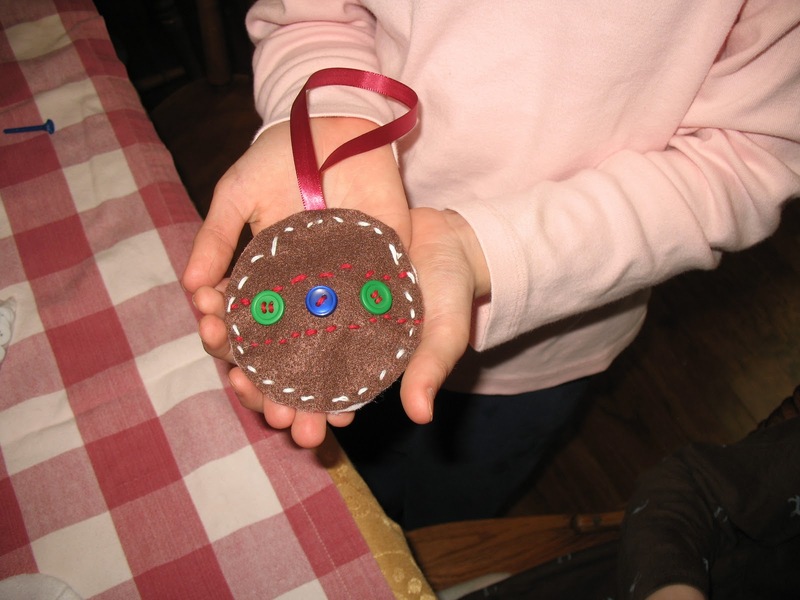 Third, we made some sewn felt ornaments. 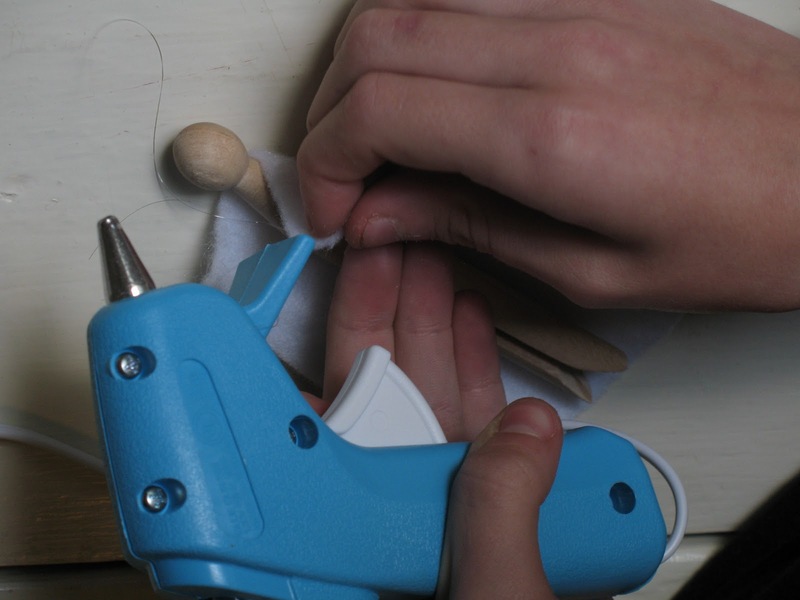 This is a nice way to introduce sewing if you haven’t already. Cut out simple shapes in the felt. Think “cookie cutter”. In fact, you can use cookie cutters for patterns. Don’t make the shapes too complicated. 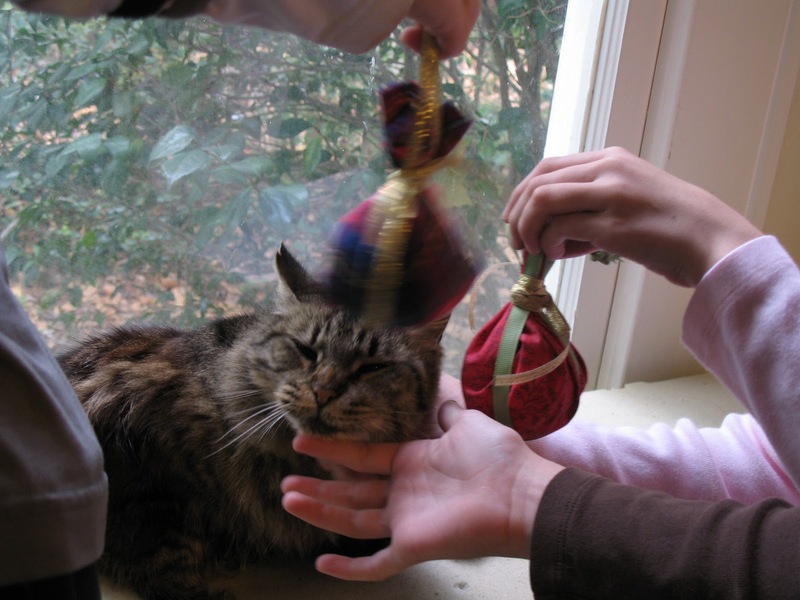 Some suggestions are: bell, mitten, square (like a gift), round, stocking, Christmas tree, heart, Santa hat, chunky cross. Avoid shapes like a wreath that involve a cut-out area in the center. Use either the same color for each side or different colors. You can leave the shapes plain or embellish them. 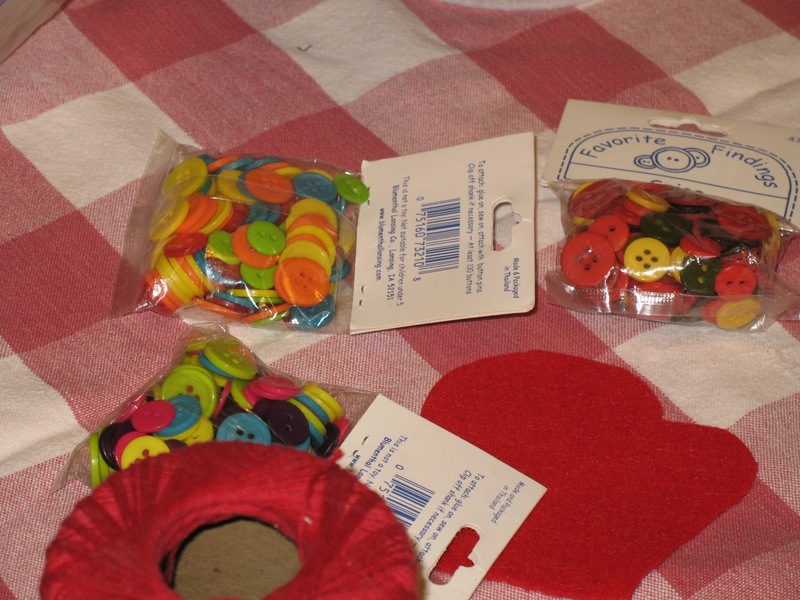 One suggestion is to sew a pattern or buttons on one side. Do this before you try to sew the sides together. It’s nice to use contrasting thread. 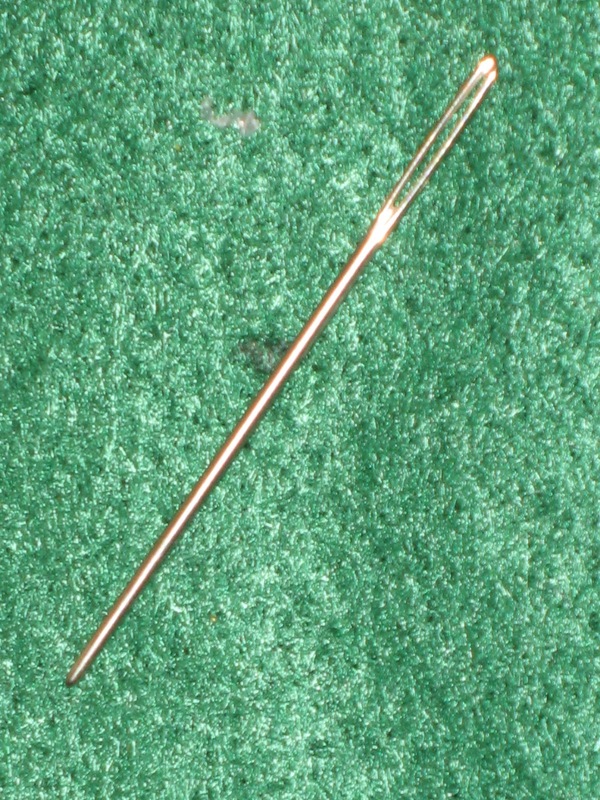 A word about needles: You can use blunt darning needles for smaller children. They’re blunt, but sharp enough to go through the felt. 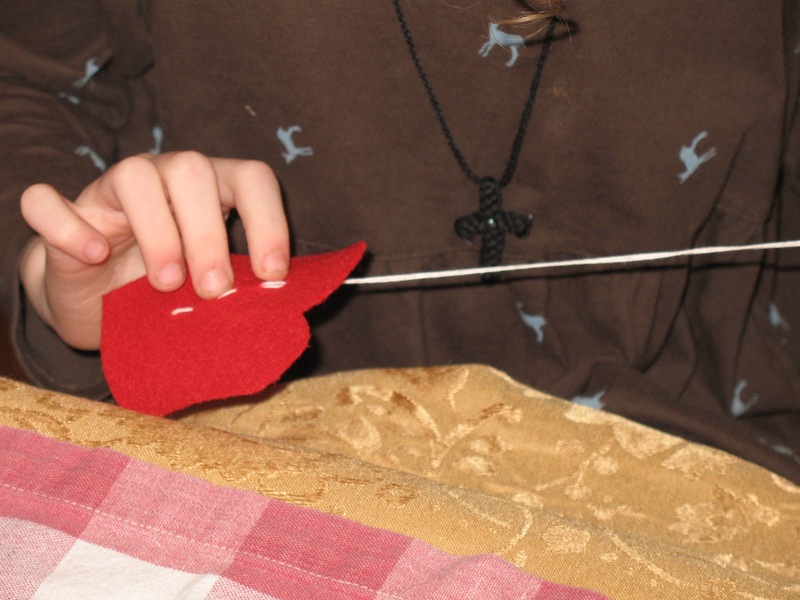 On the other hand, you will need sharper-ended darning needles to go through two layers of felt. 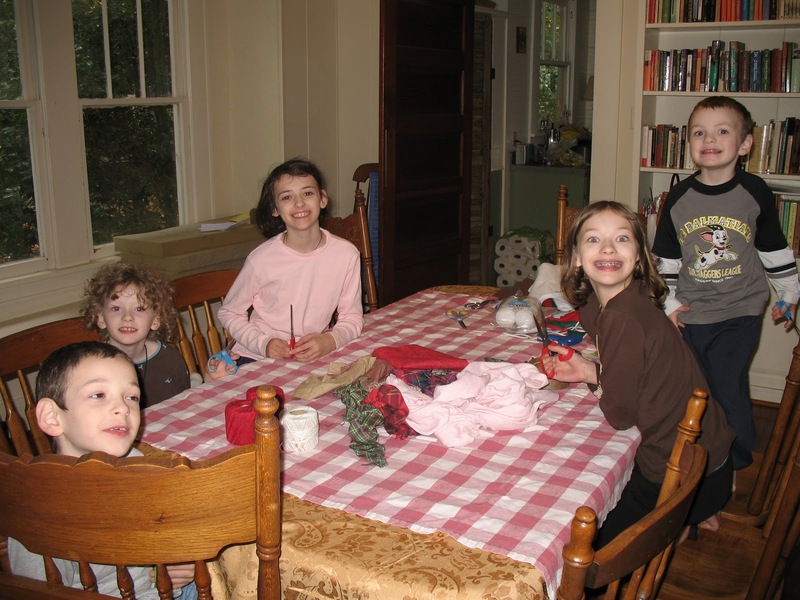 If the children are able and you are comfortable, let them sew the layers together with the sharper needle or do it yourself. It’s safer than trying to push a blunt needle through two layers of felt. 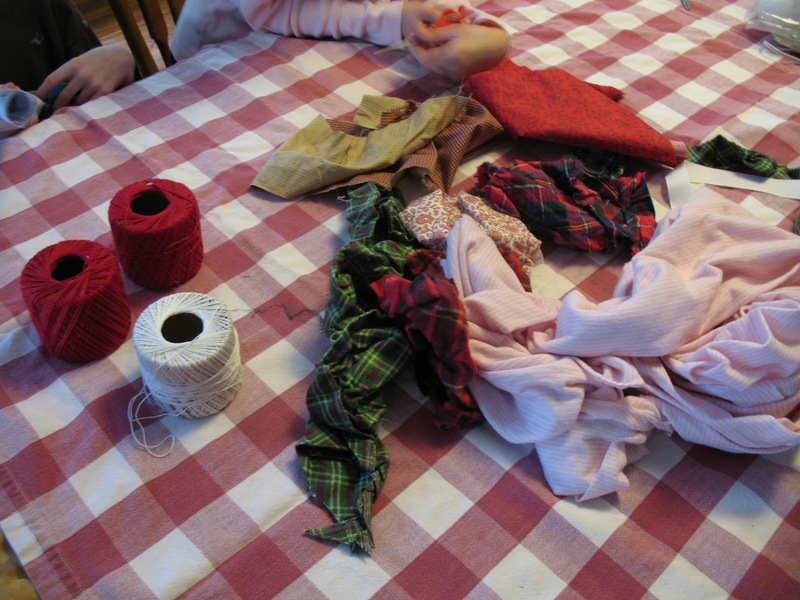 Once you are ready to sew the sides together, match them up carefully (they shouldn’t need pinning unless you are neurotic about it – felt sticks together pretty well). I suggest starting the thread from between the two layers, going either up or down, for the first stitch. This leaves the knot in between the layers and keeps it neater. Either a running stitch (up, down, up, down) or an overcast stitch (round and round) is pretty. Some children will be more comfortable with one than another. 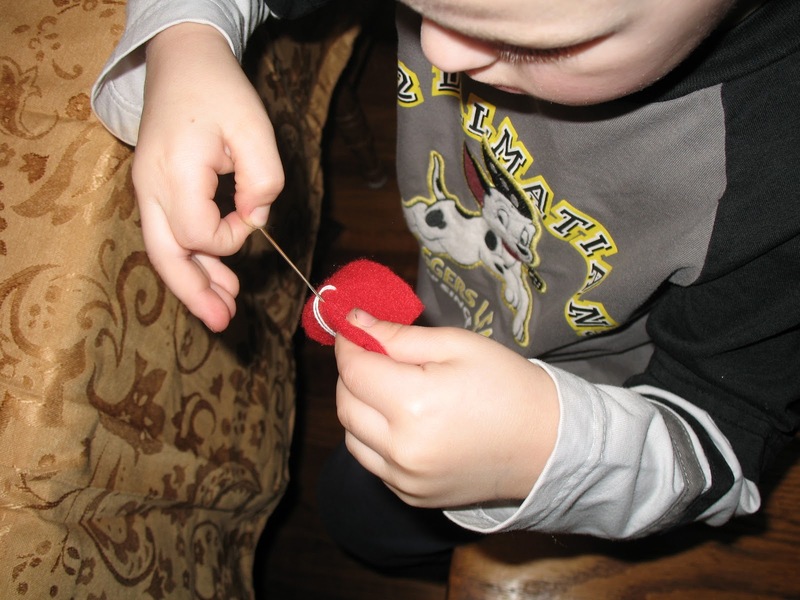 If this is your younger child’s first (or nearly first) experience sewing, encourage the overcast stitch because they put the needle in on the same side every time. This is easier to remember than a running stitch. 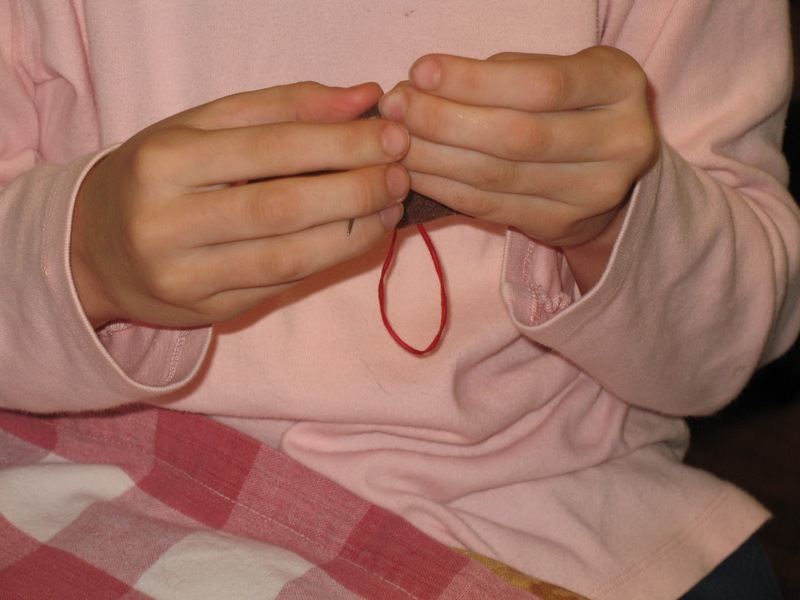 Older children should be able to grasp the running stitch without problems. 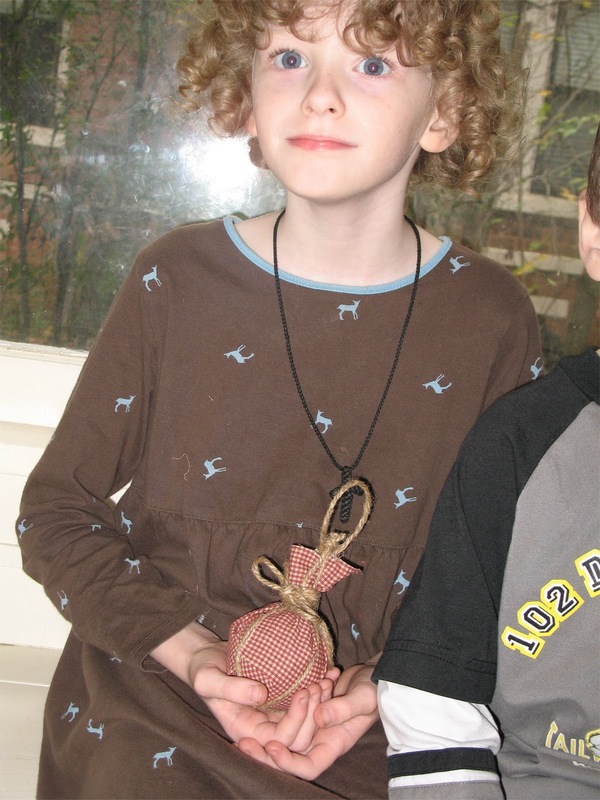 When you’ve sewn about 3/4 around, lightly stuff the ornament. Use anything. 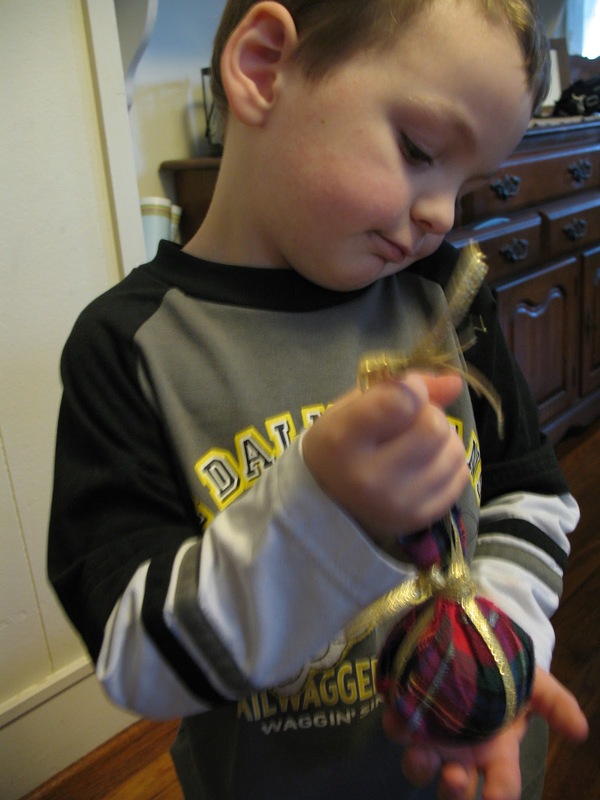 Cut a length of ribbon as long as you’d like for a hanging loop. 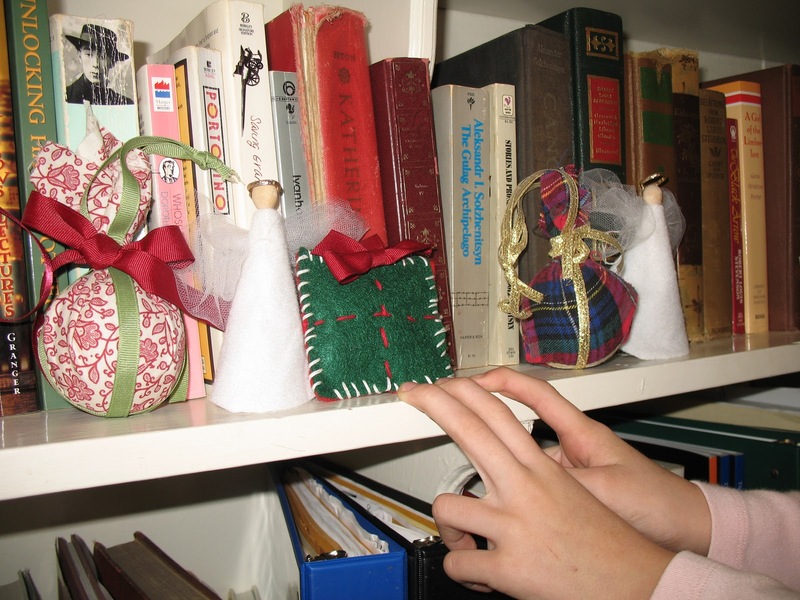 Insert the cut ends between the felt layers wherever you want the ornament to hang. 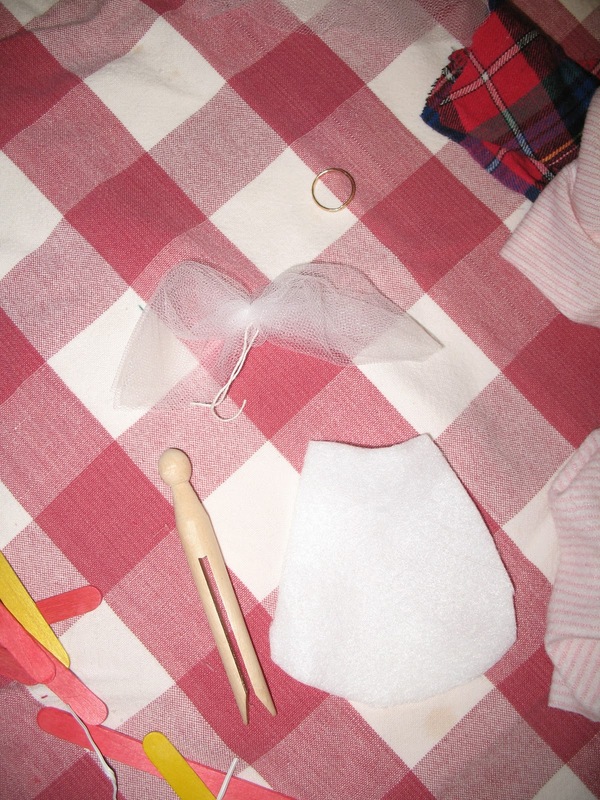 Then continue sewing the layers together, sandwiching the ribbon in between. 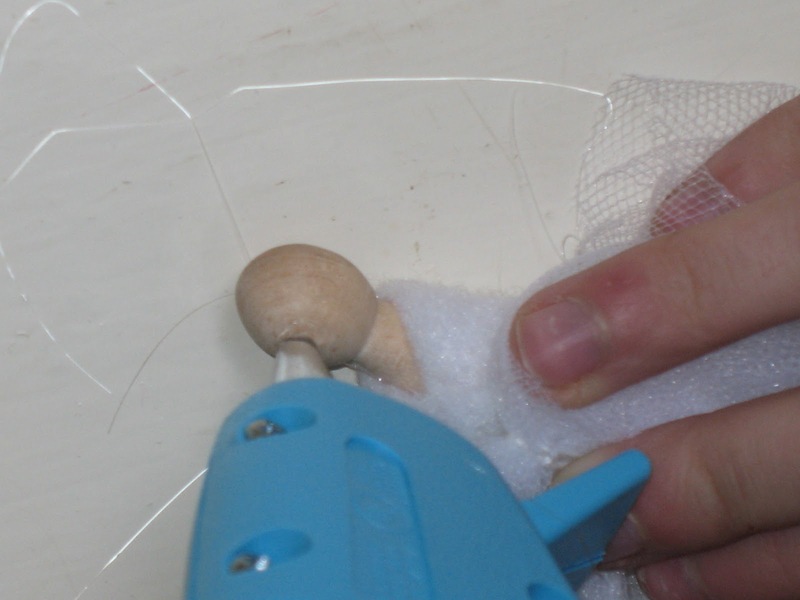 Note: you will have to switch to a running stitch if you have been using an overcast stitch. You may want to do this part yourself. The possibilities are endless. I suggested felt or fleece because they won’t fray but use any fabric if you like. You’ll just have to hem it or put fray-stop on it. 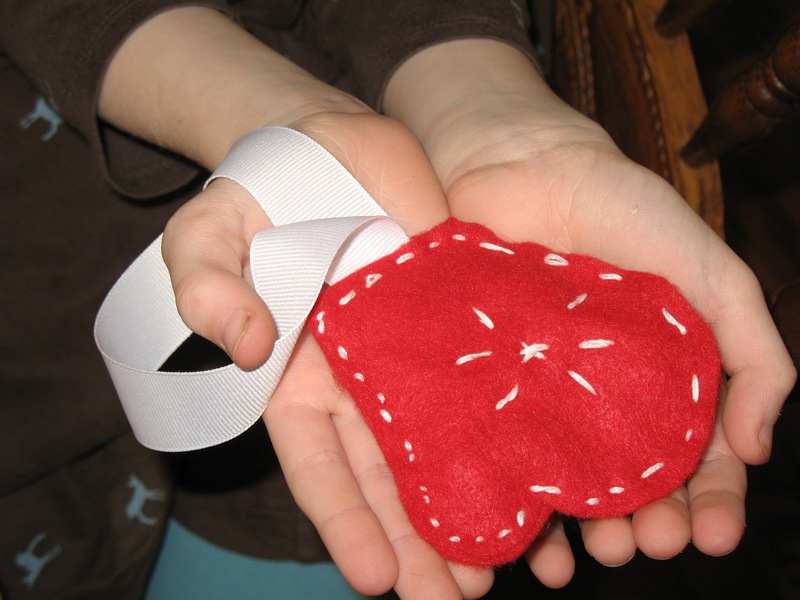 The felt is bulkier and therefore easier for children to manipulate too. 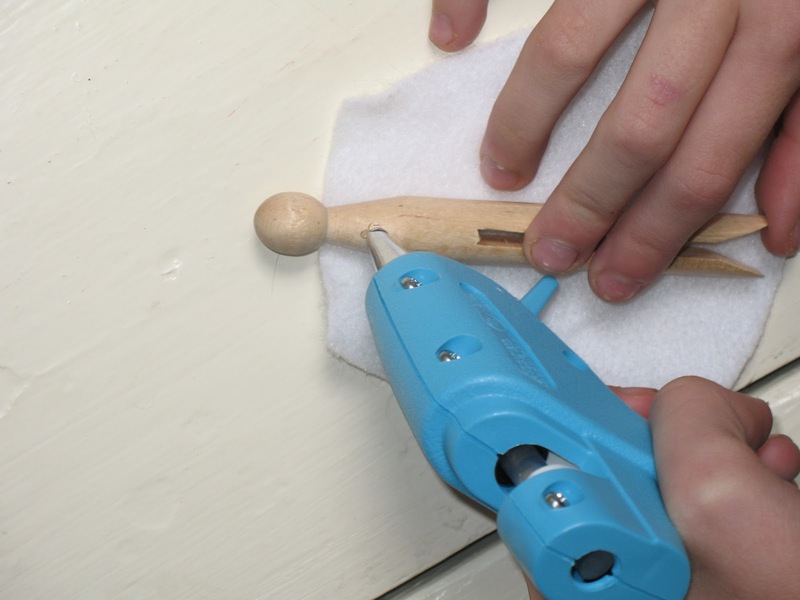 If the ornament is finished and the edges aren’t quite matching up, you can carefully trim around to make it neater. This is usually more important if the front and back are not the same color. Have fun! Don’t worry about perfection. They’ll all look pretty on the tree. Thank you so much for posting these! 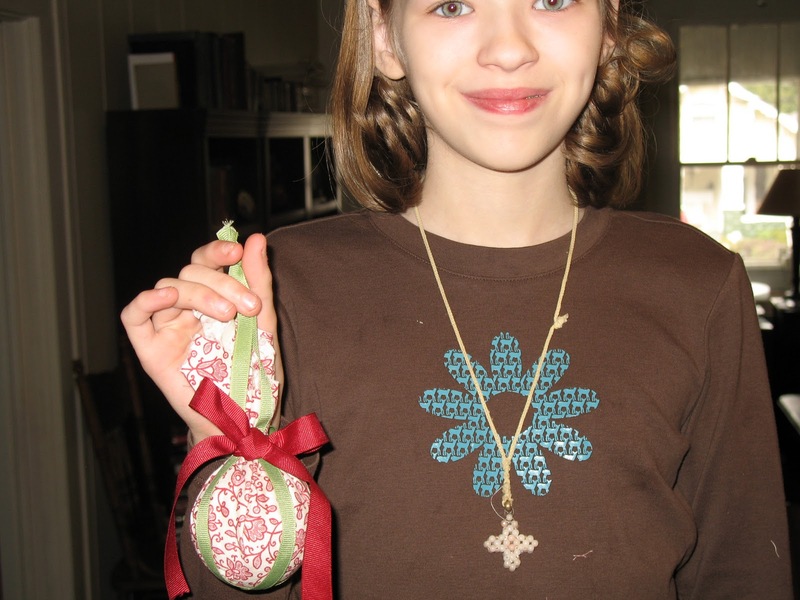 My girls would love to have an ornament-making workshop, and now you're inspiring me to get it together. I'm determined to try the felt ornaments! These are very pretty. I'm gathering ideas for our Sunday School activities. I think our girls will be thrilled to get involved in projects like these. Great ideas. I have daydreams of more permanent ornaments out of felt for our Jesse Tree/Advent calendar (don't quite know what to call it since we incorporate saints' days and things like Thanksgiving…). This makes it look possible even for a sewing-phobe like me. Nice crafts!!! What a great thing to be able to do as a family! !